Summary: Some possibility of shower/storms today, bigger chance tomorrow as our first real chance of severe weather this year sets in. 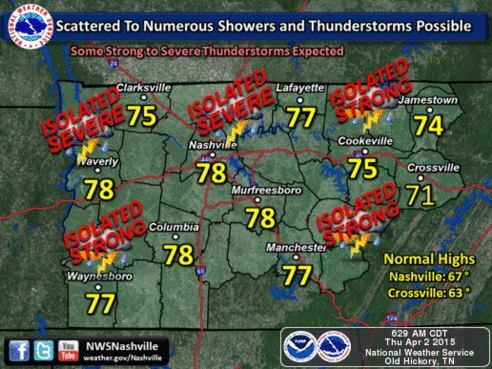 Today we are expected to get isolated strong to severe storms throughout the day, with a chance of rain at 40%. Our high will be around 78 degrees and it will be quite windy with 10-20 mph winds from the south (pumping in warm, moist air), with gusts up to 30 mph not out of the question. The SPC has us under a Thunderstorm outlook today (but on the edge of a marginal outlook) until about 7 am today. After 7am, the SPC changes its forecast to the following. I assume they are expecting things to really ramp up this afternoon, as they are forecasting severe storms and even a possible tornado or two to our northwest. This means we are on the edge of the “slight” risk, meaning, pay attention for possible severe storms. 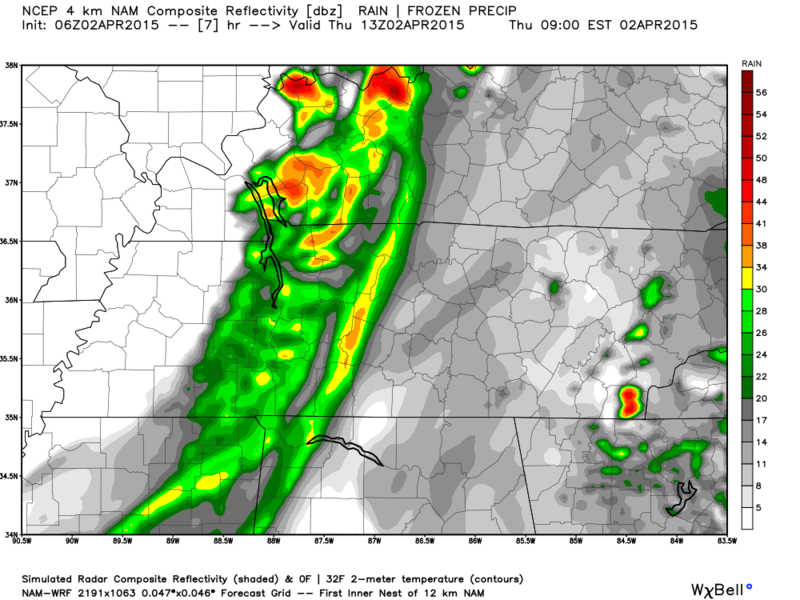 The NAM4 model is saying we will get some shower and storm activity starting at about 8 am this morning. I think it is just a bit fast. 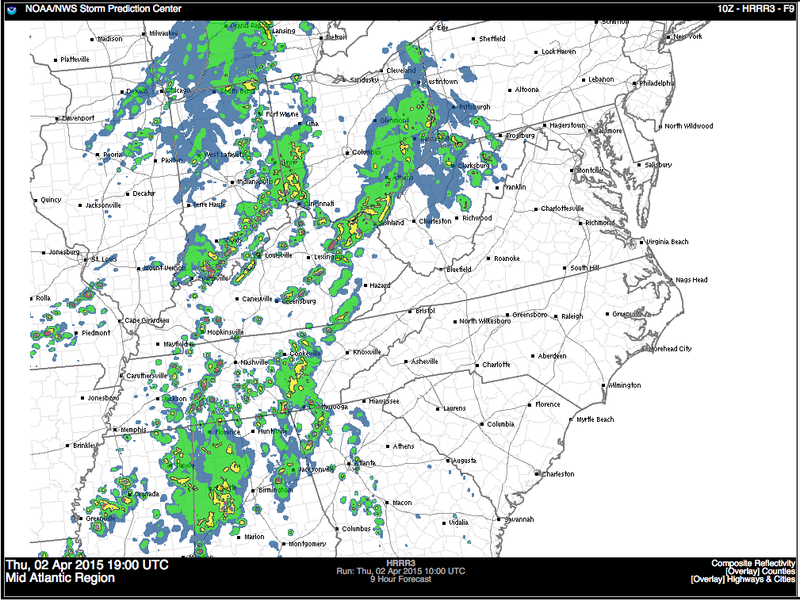 The HRRR model is wanting to say we will get rain later, with some rain possible about 2pm today. I think this is likely more realistic based on looking at the current radar. Friday still isn’t looking all that pleasant. The severe weather potential is still there and we are still monitoring it. Friday’s high is likely to reach 73 before the cold front kicks temps down. The SPC still has us now under an “enhanced” chance of strong to severe thunderstorms on Friday. This has increased in severity from the yesterday. Any thunderstorms that warrant severe status will likely have damaging winds and large hail (in other words, this doesn’t look to be a major tornado event – however it can never be ruled out with a cold front in the spring time). WILL SUPPORT ONGOING DAMAGING WIND RISK INTO THE EVENING HOURS. The good news: limited tornadic activity. The bad news: lots of wind (shear) so possible wind damage and really large hail coming with possible supercells. Models are still wanting to hold on to that ETA of the severe weather on Friday at about 7pm. 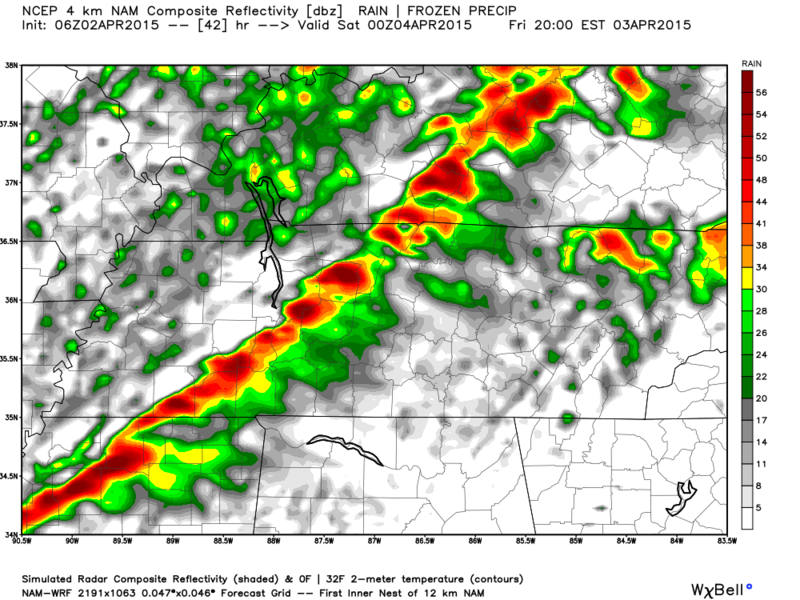 Below is the NAM4 model for 7pm Friday night. WITH SEVERE THUNDERSTORMS WILL BE DAMAGING WINDS AND LARGE HAIL. 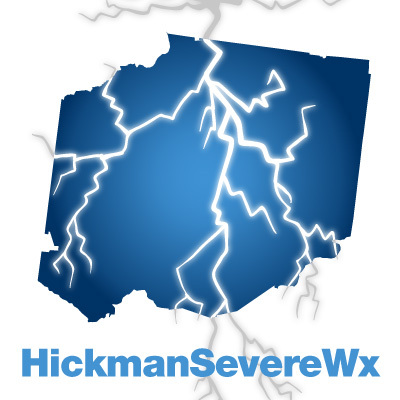 Later tonight, I will work up a special post discussing tomorrow’s severe weather event with the latest thinking, models, and special information to keep you and your family safe. Easter Weekend looks great, but Saturday you will need a jacket. All the severe weather will be out of here and what is left is the aftermath of a potent cold front. Saturday’s temps will be 57 degrees. However, there shouldn’t be a cloud in the sky, which is great because the ground will be soggy. It will also be a bit breezy, winds will be 5 to 10 mph out of the north (so it will feel cooler than 57 degrees). Sunday is looking like a picture-perfect Easter Egg hunting day. Partly cloudy with highs about 66 degrees. Winds will be out of the south on Sunday at about 5-10 mph so it will help make things feel warmer than 66 degrees.